With one month of winter to go in the Southern Hemisphere we are eagerly awaiting the arrival of spring and with it the glorious blooms of the cherry blossom trees. In the slightly milder areas the first blossoms have already made an appearance reminding us that it is almost time to start thinking about planting some new trees to be enjoyed in the coming years. Here are some of our top tips for growing these beautiful flowering trees. 1. Plant your trees in full sun to partial shade areas. As cherry blossoms need lots of sun to thrive, make sure you choose somewhere with a minimum of four hours sunlight each day. Elevated positions work great, and choose a spot with well draining and deep fertile acidic soil. 2. If you live in a frost prone area wait until after the last frost of the season before you plant young trees to give them the best chance of thriving. 3. Don’t overwater. Cherry blossoms do not need a lot of water, the exception being periods of drought or long, hot summers. 4. Keep an eye of your trees for any sign of aphids, disease or stress and take care of any problems immediately. 5. Plant trees far enough apart in order to give the trees room enough to grow. 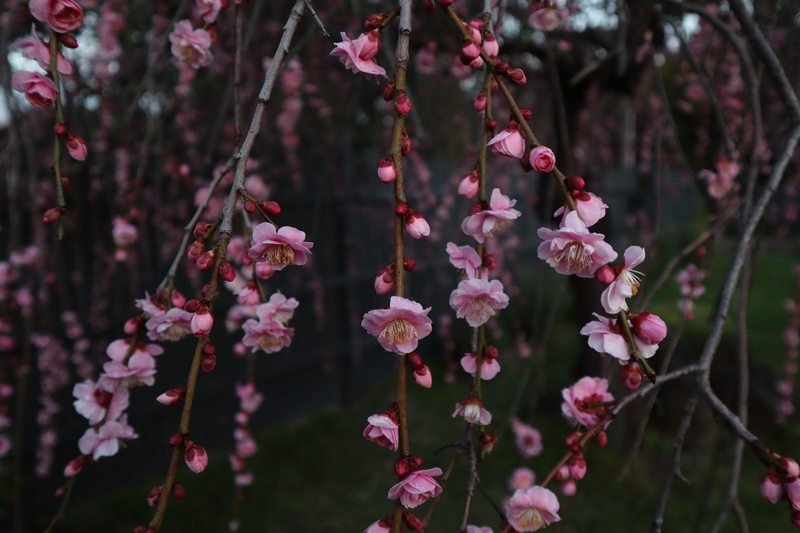 Cherry blossoms will also self-pollinate and will blossom the best when planted in areas together. 6. Visit your local nursery to determine the most suitable tree for your climate, to ensure you give it every chance to grow beautifully. Lastly, enjoy the blooms each spring, there is something truly beautiful about the arrival of the first blooms of these wonderful plants. Love to garden? Click here for five of our favourite gardening books and here for tips on creating a simple herb garden. Is this your tree-it is gorgeous! What a shame they are such beautiful trees!